The ancient Polynesians have known and passed up through the generations the healing power and effects Noni juice has in the body. They didn’t understand how Noni worked and attributed the effects on one of their many gods, but modern research has helped us to better understand Noni efficacy in the human body. One possible explanation for Noni’s effectiveness throughout so many systems in the human body is its ability to generate nitric oxide (NO). Noni shouldn’t be confused with nitrous oxide or also know as laughing gas. Nitric oxide performs several important biological functions that Noni juice helps to stimulate throughout the body. For example, nitric oxide production can help explain why many people who drink TRU NONI juice feel a sense of well-being as the neurotransmitters critical for good memory and a restful sleep are relaxed. In addition, nitric oxide relaxes the blood vessel walls making them more flexible. Blood vessels that become stiff and inflexible contributes to high blood pressure and over time develop sticky plaque in the arteries resulting in a heart attack or stroke. Morindia citrifolia L. or as the Hawaiian’s named the fruit Noni also promotes new cell growth and aids the body to repair damaged cells. The average human body is made up of fifty-two trillion individual cells so its easy to understand after an accumulation of damaged cells that continue to reproduce themselves over time can result in damaged organs and other critical systems throughout the human body. There are several theories why Noni juice in the human body can naturally aid the body repair and rebuild overall cell growth and even build them up to prevent future cell damage. Noni juice contains a powerful combinations of antioxidants that defend the body from harmful “free radicals” that can ravage the cells creating sickness and disease. Free radicals are generated internally through our exposure to the environment and oxidation. This occurs when the chains of vital bio-chemicals in the body are broken down as a result of unpaired electrons. This happens as the result of oxidation in the body as the radical electron of the broken chain speeds through the body as a free radical causing massive damage to the cells they come in contact and smash through in desperate search for that missing electron. To prevent this seniero from happing from free radicals, the body must prevent oxidation with an oxidant that can only come from fruits and vegetables. The next step is to rebuild the damaged cells already effected by the out of control free radicals. Researchers in Hawaii have found Noni juice can help accomplish both in health maintenance and a powerful daily supplement to your food. It has been long said to make something a habit, it takes thirty days. That’s true in getting into a daily routine with supplements to your food. Adding TRU NONI juice with other vitamins, minerals and herbal extracts create a synergetic effect. Together they help the others to be absorbed into your body for the common benefits. Noni fruit juice’s healing compounds naturally complement other herbs because Noni is an effective delivery system into the blood stream. What this means is that Noni, or the botanical name, Morinda citrifolia helps other vitamins, minerals and herbs react more favorably in the human body. Hence, some research suggests Noni juice maybe able to improver the effectiveness of most nutritional supplements because Noni aids the body in preparation to receive it. 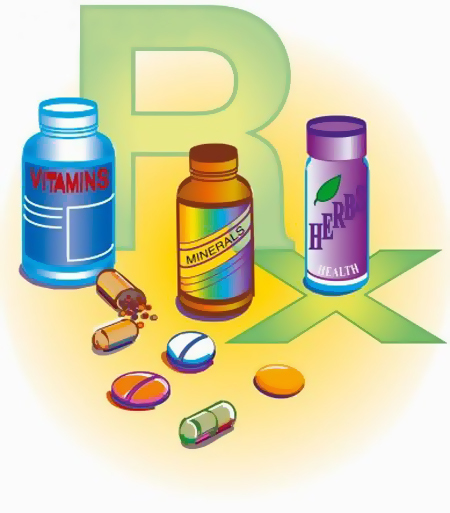 Be careful not to reduce the amount of other supplements or medication without first consulting your health-care provider. Since your body is unique, there is noway to know how Noni will improve your body’s ability to absorb the nutrients from food, dietary supplements and even synthetic pharmaceutical drugs. Thats because what your body doesn’t use is passed through in the urine. As a general rule of thumb, consider the amount Noni juice you take with supplements as one of the doses of Noni (usually two ounces) that you take each day. You will not need to drink extra Noni juice when combining it with other supplements. It’s always a good idea to use spring water or purified tap water when consuming your supplements. That’s because chlorine, fluoride and other chemicals used to treat tap water can interfere with your body’s ability to effectively absorb and use the healing compounds found in TRU NONI juice. Noni can also be added to your favorite herbal teas, as well as, mixed with other medicinal fruit extracts like Saw Palmetto and Hawthorne berry extract. Typically, Noni does not reach the prostate gland as effectively as it does when combine with the healing compounds of Noni into the effected areas. For example, traditionally used for the heart, Hawthorne berry can focus Noni’s healing compounds into heart tissue. Garlic has long been used to help lower the cholesterol levels. When fresh garlic is mixed with pure Noni juice the combination tend to make each other more potent improving the performance of the major systems in the human body. Over the past two decades Noni juice has been talked about for the many healthful benefits it has been shown to have in clinical studies around the world. The ancient Polynesian people have know about the amazing effects for the past two millennium. Unlike other functional fruit, such as, ACAI, Mangosteen, and Goji that are rich in antioxidants, its only pure Noni juice (Morinda citrifolia that contains a unique blend of over 150 biochemical substances which are beneficial to many parts in the human body. If you are considering making pure Noni juice part of your daily dietary food supplementation, it’s always good to first learn as much as you can about this amazing fruit from Hawaii. If you have concerns about how drinking Noni juice may interact with any preexisting medical condition, it is highly recommended you first discuss your condition with your doctor or healthcare provider. Relief in daily stress and mild depression that effects us all. Noni juice has been shown to be beneficial in a variety of mental health issues. Some of these include difficulty in sleeping, daily stress problems and mild depression. The unique polysaccharides found in Noni fruit juice aids to strengthen the bodies immune system by boosting the white blood cells, helping your body to fight-off disease and bacterial infection, as well as, helping damaged or sick cells to regenerate. This can be of great benefit in a wide variety of health issues; consult your doctor if you think this could work for you. Noni has long been considered to be effective in relieving pain due to its analgesic properties. Noni can also be beneficial for a variety of pain situations ranging from headaches to joint pains while not producing negative side effects. Noni helps the body to fight cancer cells. Noni juice offers a wide range of medicinal properties. Studies have been done that cites the anticancer activity or Morinda citrifolia ( or as the Hawaiians call it – Noni) against lung cancer. A team of research scientists from the University of Hawaii tested live laboratory mice to test the effect the medicinal properties of the fruit had against Lewis ling carcinomas that were transfered to lung tissue. The mice that did not receive the Noni died between nine to twelve days. The mice who are in the group receiving the Noni juice in a consistently daily does lived for more than fifty days. The researcher conclusion stated the biochemical constituents found in pure Noni juice acted to enhance the immune systems ability to handle invading malignancy by boosting macrophage or lymphocyte activity. 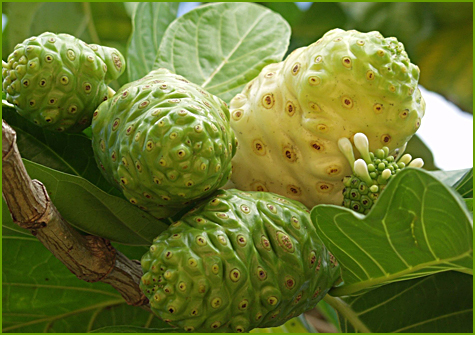 The researchers went on to theorize Morinda citrifolia enhanced the T-cell activity that may also explain Noni’s ability to enhance the bodies ability to kill other infectious diseases. Noni juice offer the essential fatty acids for you diet. Taken consistently, Noni offers the body high quantities of essential fatty acids. Hence, it is beneficial to maintain healthy functioning cell membranes in the body and healthy nerve and skin cells. Through the ages, humankind has benefited from Noni and not at all is a cure, even pharmaceutical drugs don’t cure disease, but rather maintain the body. What Noni juice does do is to provide the body what it needs to maintain proper function naturally before serious condition develop making the body sick. 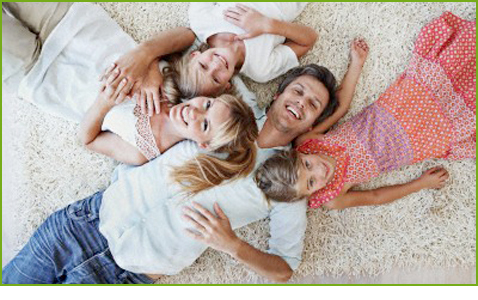 Are you looking for ways to improve your family’s health and well-being? The quality of the food and diet is one of the most important places to start. The choices made today in the quality of food you eat has a huge affect in your health and how you feel now and into the future. How well your body functions to fight off infection and disease prevention is determined by the fuel you feed it. There’s no question that a balanced diet is important to proper health maintenance along with regular exercise. The challenge for most of us today is getting enough of the nutrients out of the food that is processed to the point it contains almost no nutritional value and here lies the challenge in maintaining a healthy body. Some researchers believe the vital nutrients we get from food we consume are deficient in some of the basic minerals and vitamins because of the soil they are grown in. As a result, even making the right food choices can hinder us from getting proper nutrition for the body to maintain a healthy function. Since plants cannot create minerals that are then passed on to us needed to properly use vitamins, they must come from the soil. In North America, the problem with our food supply over the past 100 years is the soil once enriched with minerals have been depleted after the switch from organic fertilizer to a cheaper synthetic version. The point is without a proper balance of minerals in our body the vitamins we do get from food becomes almost useless leaving us open to external influences, such as, viral and bacteria attacks on our body’s immune system. When your diet is deficient in essential micronutrients or are less then the recommended daily intake, your body cannot perform at it’s best, and often times serious health problems can develop. That’s because vitamins and minerals from the food we eat act as essential cofactors in your body’s metabolic process. If they are lacking or not present at all your body cannot function properly. Natural herbal food supplements like Noni fruit juice can help bridge the gap in these deficiencies of mineral because Noni fruit is exclusively grown in mineral-rich volcanic soil found throughout the South Pacific and Hawaiian Islands. Women pregnant and children are the most vulnerable since a lack of micronutrients can hinder the development of some basic functions, such as, brain development during this period of rapid cell growth. Herbal remedies like Noni fruit juice has long and well documented history of use throughout the South Pacific. Like other herbal supplements Noni contains bio-active ingredients your body was intended to efficiently absorb and used to keep your body functioning properly. As with any herbal or natural product used to supplement your diet, the most important point to keep in mind before using any herb is to read the label carefully and throughly. Just don’t take an herbal product because a friends tells you it works, that is unless they are a medical doctor or an experienced herbalist. If you experience ongoing health trouble or are taking a synthetic prescription drug, it’s important to consult your health care provider before launching a natural herbal regimen including Noni juice.